Dr. Xu completed her interventional pain management fellowship at UT Health San Antonio, where she was honored with the “fellow of the year” award. She completed her residency in physical medicine and rehabilitation residency (PM&R) at Mount Sinai School of Medicine in New York City. Prior to her medical training, she received her bachelor’s degree in biomedical engineering with a concentration in computer science at Johns Hopkins University. She continues to apply the same analytical principles and problem-solving techniques to find creative solutions in medicine. Through her training, she acquired a diverse set of skills including electrodiagnostic medicine, ultrasound-guided injections, fluoroscopic-guided spinal injections, radiofrequency ablation, regenerative medicine and neuromodulation. She is experienced in caring for patients with reflex sympathetic dystrophy (RSD) or complex regional pain syndrome (CRPS), failed back surgery syndrome (FBSS), musculoskeletal disorders, sports injuries, and other conditions associated with chronic pain. 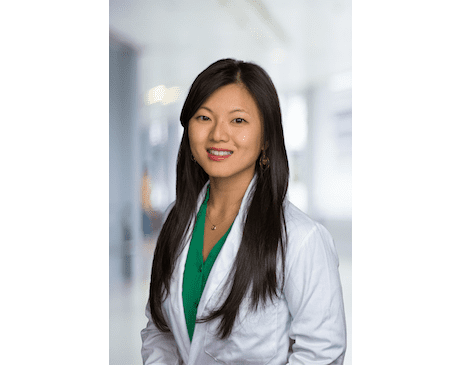 Dr. Xu emphasizes conservative management utilizing evidence-based medicine, minimizing opioid use, and using a multi-disciplinary approach to help her patients to maximize function, independence and quality of life. She is the co-author of “Musculoskeletal Sports and Spine Disorders” and “Flouro-flip: A Quick Reference Guide to Spinal and Peripheral Pain Procedures.” She is also a member of the American Society of Women in Pain Medicine (ASWIPM) and American Society of Interventional Pain Physicians (ASIPP).